Welcome to Polyaire UK The United Kingdom division of Polyaire Pty Ltd, Australia’s leading manufacturer and distributor of Air Conditioning products and components since its inception in 1973. Polyaire UK, a one-stop centre, was established in Wellingborough Northants 10 years ago and has since steadily grown in size and product offering to meet increasing customer demands which has resulted in the warehouse expanding to seven times its size. Currently located in Kettering, Northants England, this division sets out to provide its customers a range of high quality products to suit the residential and commercial market focusing on quality, reliability and good customer service. Polyaire UK has benefitted greatly from international connections built by Polyaire Australia over the years which have now facilitated greater access to a wide range of products from its Australian, Malaysian and Chinese factories. This has enabled the company to secure the best products at competitive prices for its customers in the UK and Europe. 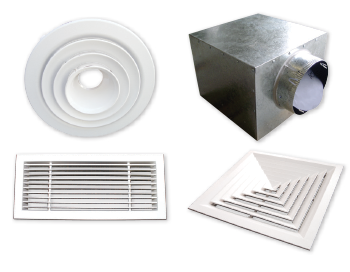 Polyaire is a major supplier to the Residential and Commercial HVAC markets in Australia. With its extensive range of products and distribution centres, Polyaire is easily the most accessible supplier to the industry. Polyaire’s first venture into the Commercial HVAC sector was through the acquisition of Variflow (South Australia) over 10 years ago. Since then, Polyaire has successfully supplied to various Commercial projects ranging from Convention Centres, Office Buildings, Hotels and Hospitals. Our Commercial division is strongly supported by staff who are very experienced in the industry. This is a growth segment for Polyaire with future investments going into increasing its Commercial team and stock holding. Polyaire is nationally well positioned to build on existing relationships and infrastructure, to provide a significant customer service focused presence in the Commercial and Industrial Market Sectors. Polyaire products are installed in around 30,000 homes each year. 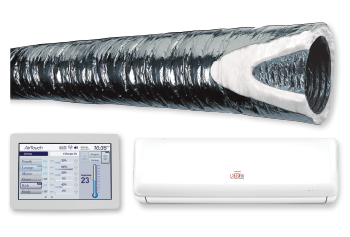 Its product range is suitable for every type of residential air conditioning installation be it small rooms requiring a high wall split air conditioner to a large mansion demanding a fully zoned ducted air conditioning system. Through its 2000 active customers, Polyaire has developed strong relationships and networks in the Residential HVAC sector.